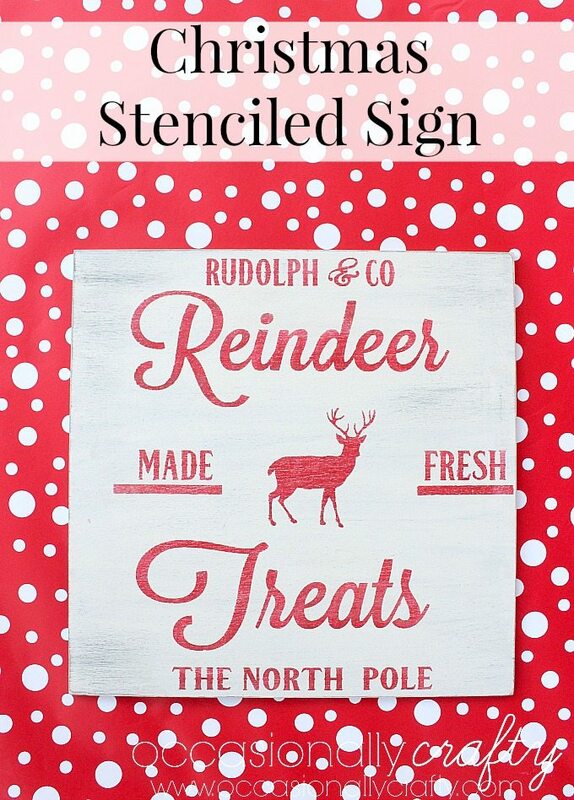 Make this beautiful Stenciled Vintage Christmas sign to add to your holiday decor! 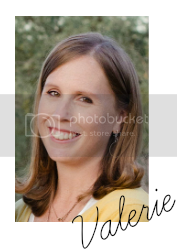 Hi everyone- I’m Valerie from Occasionally Crafty, a blog featuring simple crafts and recipes anyone can do! I’m thrilled to be here. Kelly and I have been internet friends for a while, and we finally got to meet in real life last year as roomies at Snap Conference! 1. Paint one coat of dark gray paint on your wooden board. It can be pretty rough as this is just for distressing later. Let dry. 3. Let dry completely. I put mine out in the sun for a few hours to dry. 4. 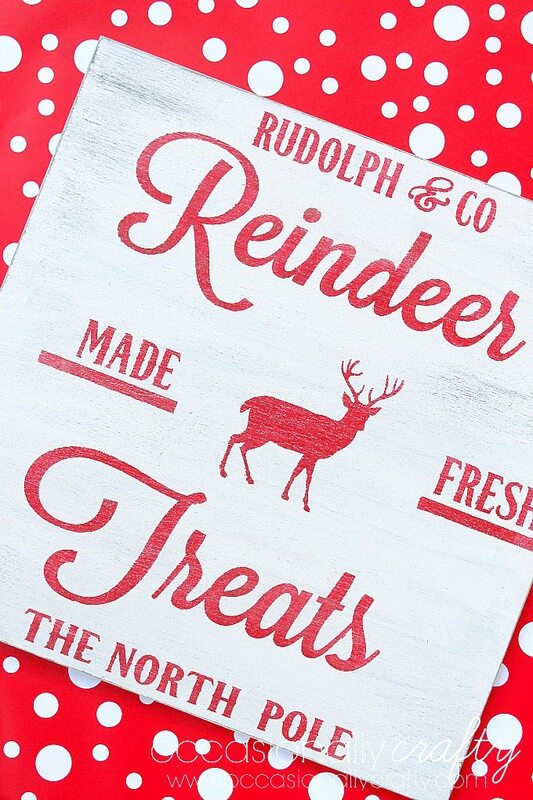 Open your Reindeer Treats shape in the .studio software. I did not resize at all. Just send it to the Silhouette to cut. 5. Weed away the letters so you can use this as a stencil. In my 2nd picture above, the blue is where the vinyl letters were. 6. 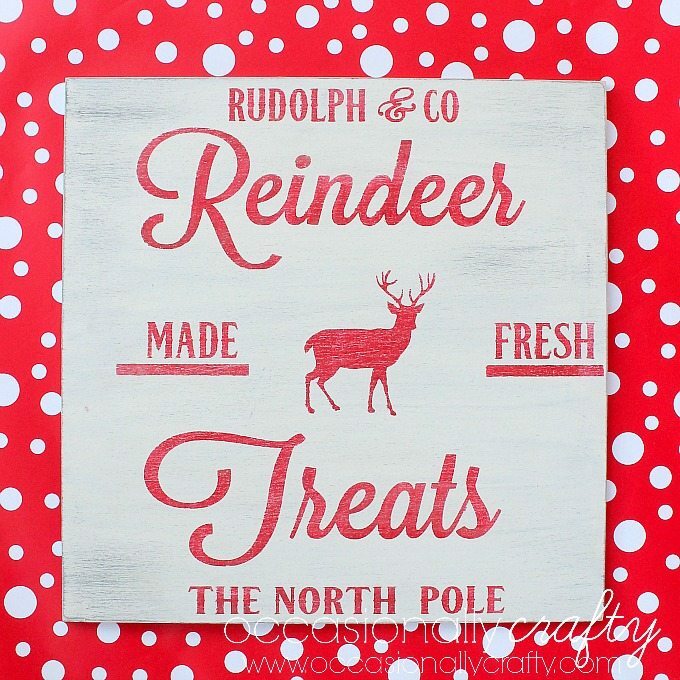 Apply transfer tape over the stencil and remove the paper backing. 7. 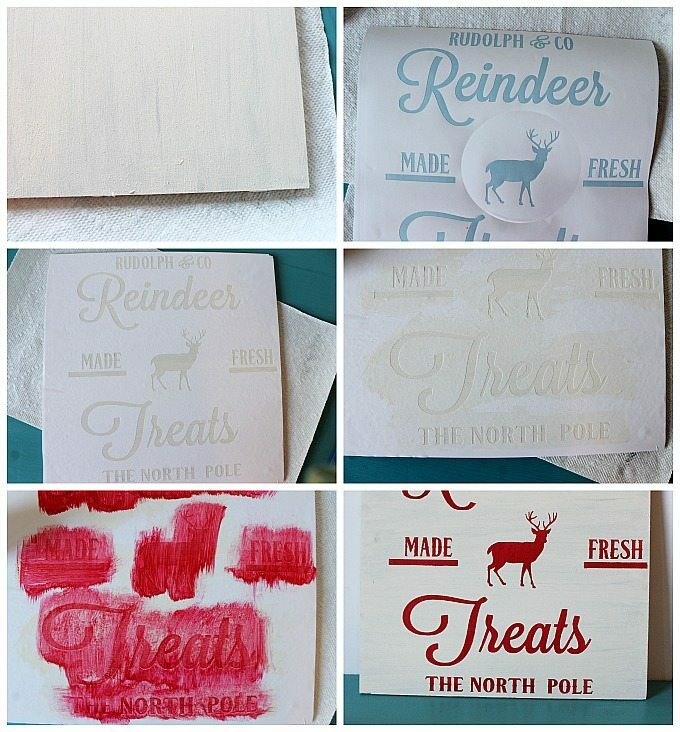 When painted wood is completely dry, apply the vinyl stencil onto the board (3rd picture). Smooth in place with a scraper or credit card. 8. Carefully remove transfer tape, leaving the vinyl stencil on the wood (picture 4). 9. Paint in the stencil with a coat of white paint. This will make sure any bleeding that might happen is the same as the base color. Let dry to the touch. 10. Paint in the stencil with red paint. It may take two coats to get the coverage you want (picture 5). Let your paint dry somewhat, then carefully remove the vinyl stencil (picture 6). 11. Sand as desired to distress and bring out the gray under coat of paint. 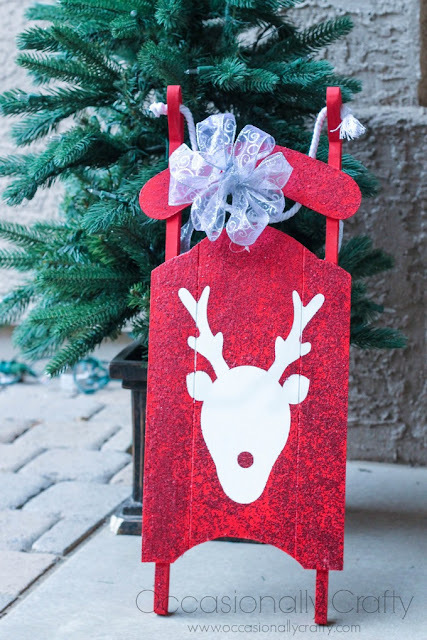 Display your stenciled vintage Christmas sign on an easel or prop on a shelf. 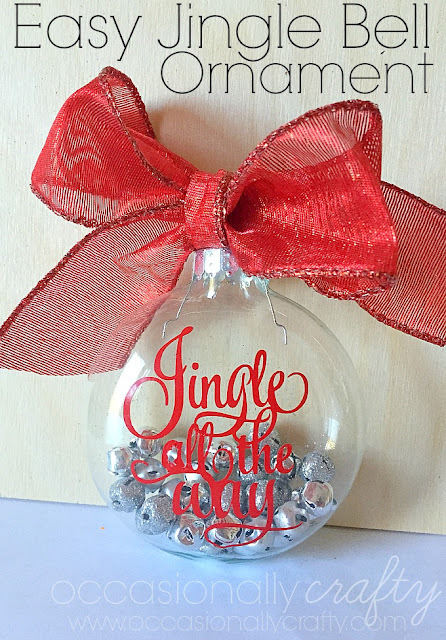 Or you could hot glue a ribbon on the back to hang it from the wall.